Every developer, during its own lifetime, has to deal with a deeply grounded doubt; before choosing the best language or the preferred editor, (sh|h)e has to join a side… a dark or a bright one. It’s the unfortunate choice between SPACE and TAB to indent and align the source code; a timeless debate which, for someone, it’s a concrete war between factions! 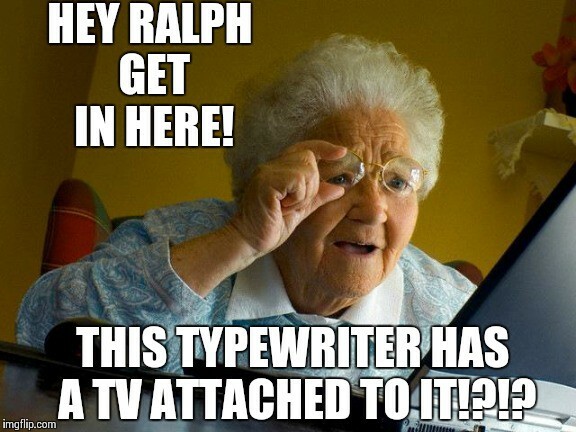 When a person wanted to type a table (of numbers or text) on a typewriter, there was a lot of time-consuming and repetitive use of the space bar and backspace key. Nowadays, the tab key might be often used to move the selection of UI elements avoiding to use the mouse or, yet, to auto-complete a suggested word. 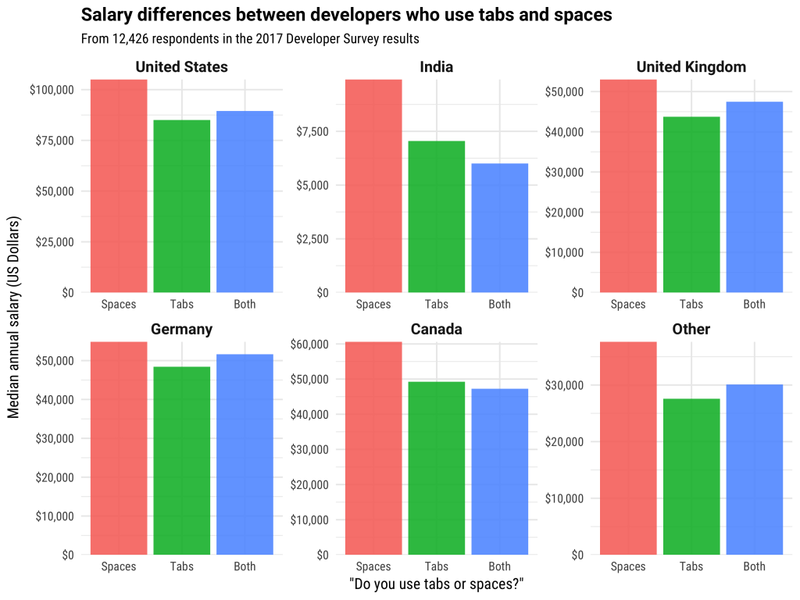 So why are we using tabs while coding!? Well… it did not totally come out of the blue. As everything, there are PROs for such a choice. 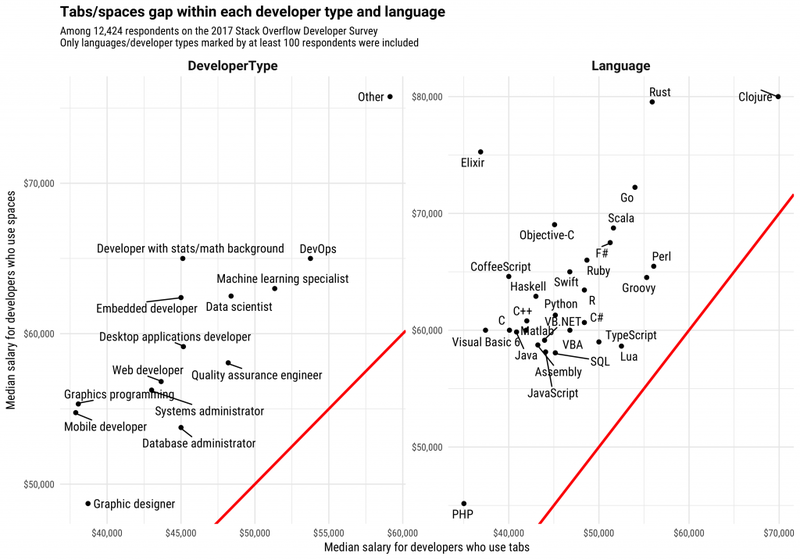 The plots above describe an emerging phenomenon where it seems that the ones who use SPACEs tend to have a higher salary. Want to go deep into this mystery? Code formatting anarchy is fine if you are alone on a project; it becomes an high-prio if you do work in a team and, remember, it is proportional to the number of peeps you work with. Having a well-shaped code, with recognizable visual patterns, might boost your ability to look speedily through it. Do format, don’t do war. When in a team, try to gently trace out and agree on common best-practices about formatting. It’s important to share IDEs configurations or to use linters during development. Let it be a common and informed decision, not a dull coercion. If self-management does not work, let’s think about setting up a formal role in charge of doing code revision and cleanup. BUT… be careful; you don’t want this colleague to get the blame for mistakes made by others. 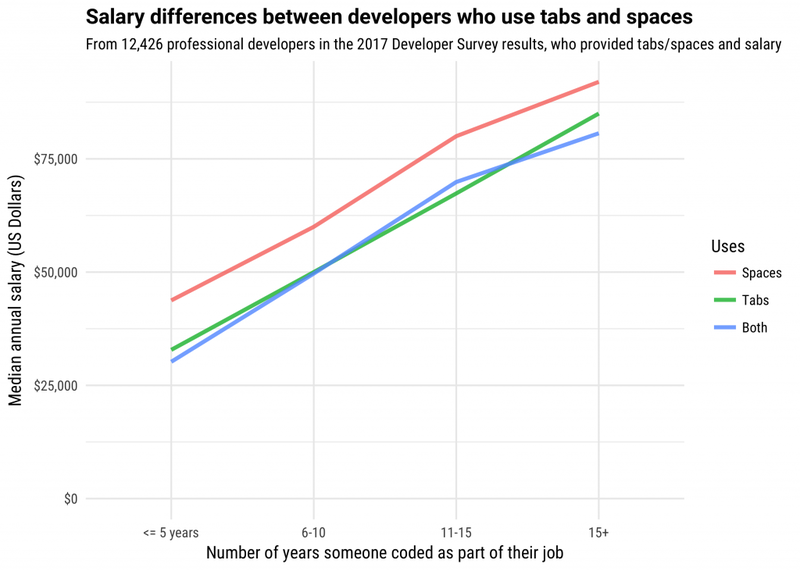 If you really need such a figure in your team, pair-programming and brainstorming sessions might be better than having “nightly code reviews”. it’s fine to be creative, elegant and parsimonious but most importantly is being consistent. The perfect place for programmers and software engineers who want to have a glance over what they love most … coding.